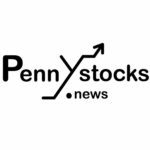 Peterborough, Ontario — September 18, 2018 — InvestorsHub NewsWire — Rainmaker Worldwide (OTC:“RAKR”) is pleased to announce that it has shipped its initial Water-to-Water unit, valued at $100,000 USD to its distributor in Jamaica. Drops Jamaica, the exclusive distributor of Rainmaker Worldwide products, has an extensive presence in Ocho Rios and has developed strategic partnerships with some of the biggest companies in the region, such as telecommunication engineering company Konnexx Services Limited (http://www.konnexx.net). RAKR in conjunction with Drops Jamaica, has established an operational hub in Jamaica, which will use the proprietary mobile unit to demonstrate the efficiency of Rainmaker’s technology and deliver pure water to the residents of Jamaica who are affected from severe drought and extreme shortage in clean water. Rainmaker is confident that its breakthrough Water-to-Water technology can assist in the shortage of available clean water. Using a combination of wind-turbine technology, with its proprietary software and patented power unit, RAKR is able to use kinetic energy towards the reclamation of water without the use of a generator. DROPS Canada and its subsidiary DROPS Caribbean specialize in green energy infrastructure and water purifications systems. DROPS is a distributor for Rainmaker Worldwide Inc. water purification and production systems and has a sales office in Jamaica to support the Caribbean. DROPS is responsible for all aspects of a project including initial project specification, solution recommendation, project management, deployment and ongoing maintenance. The management team of DROPS has over 100+ years of experience in project management, business analysis and industrial/commercial construction projects.